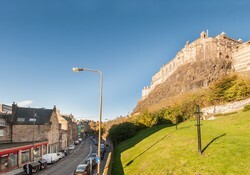 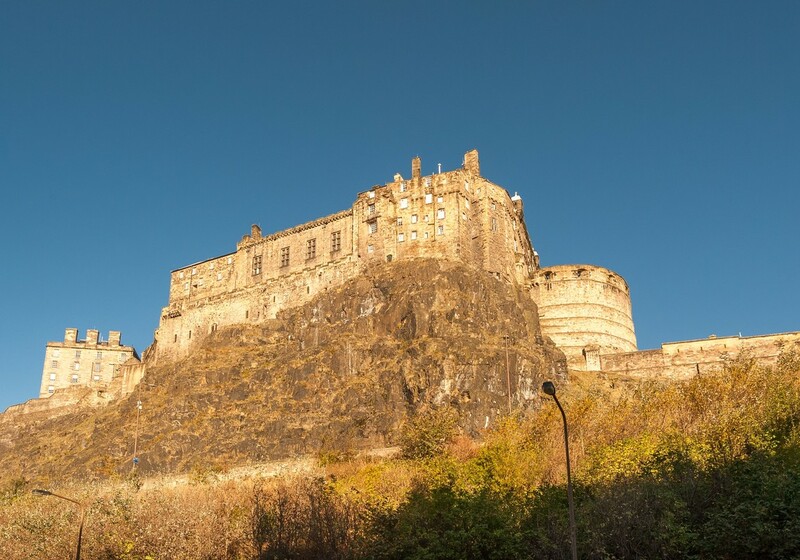 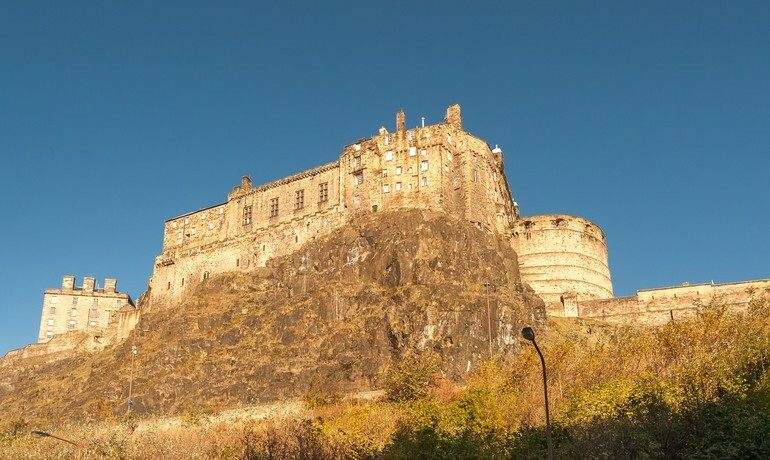 Castle View Suite 2 is a superbly located two bedroom property at the western end of The Grassmarket which lies within the UNESCO World Heritage Old Town of Edinburgh with breathtaking views of Edinburgh Castle literally right across from the apartment. 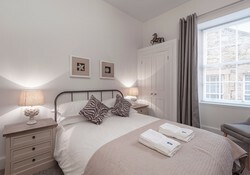 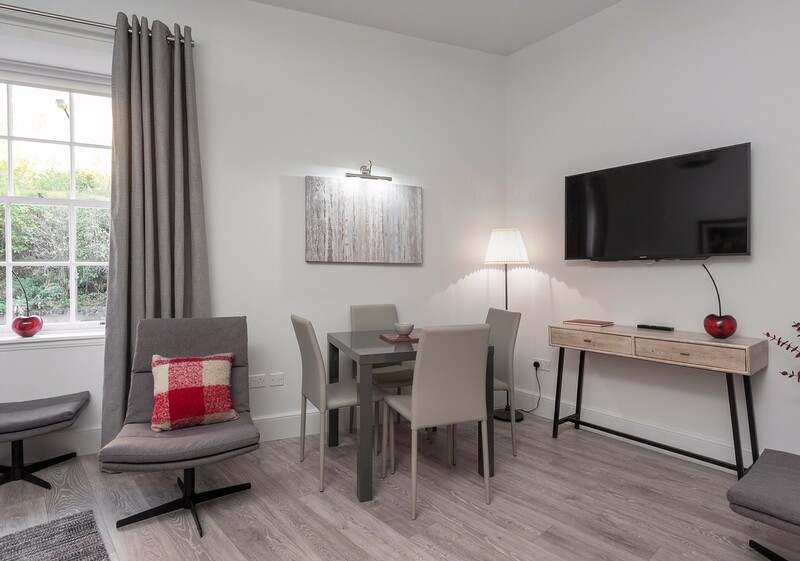 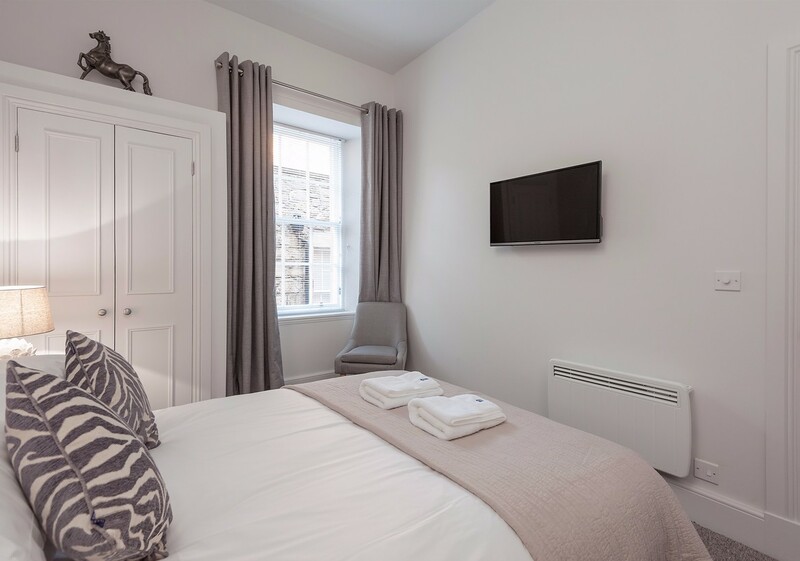 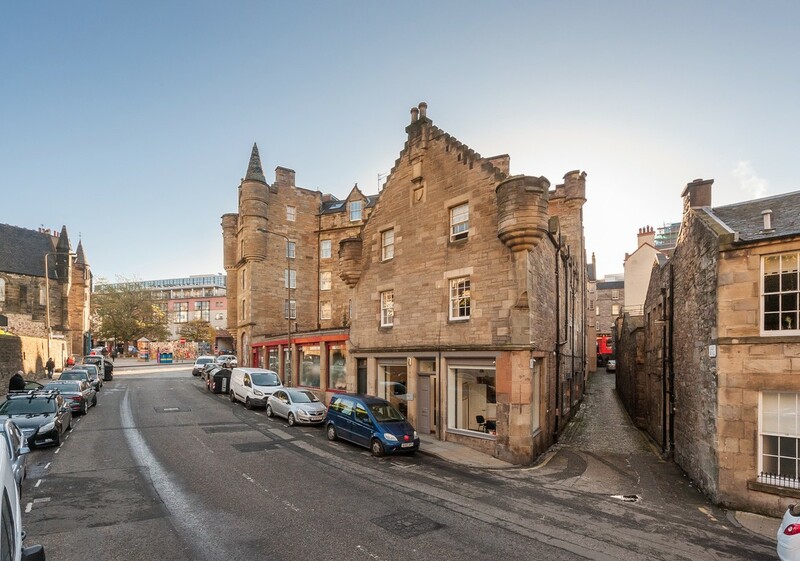 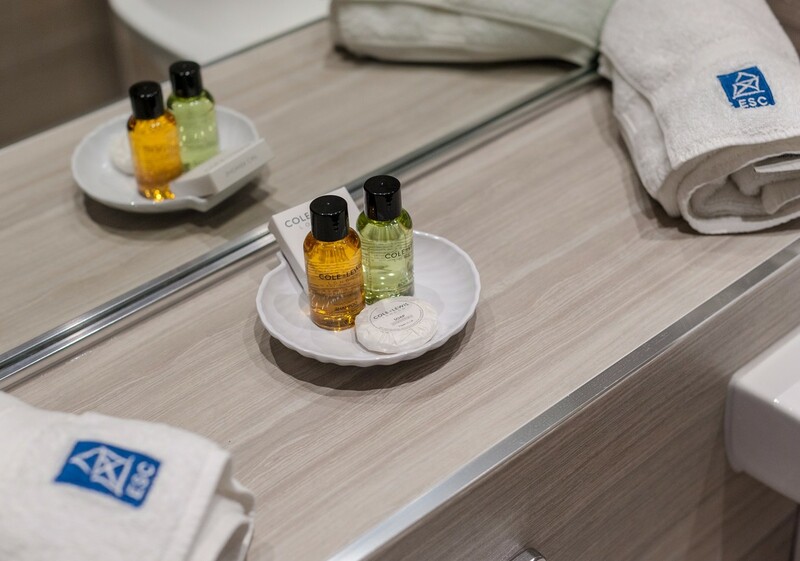 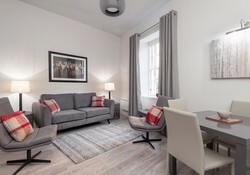 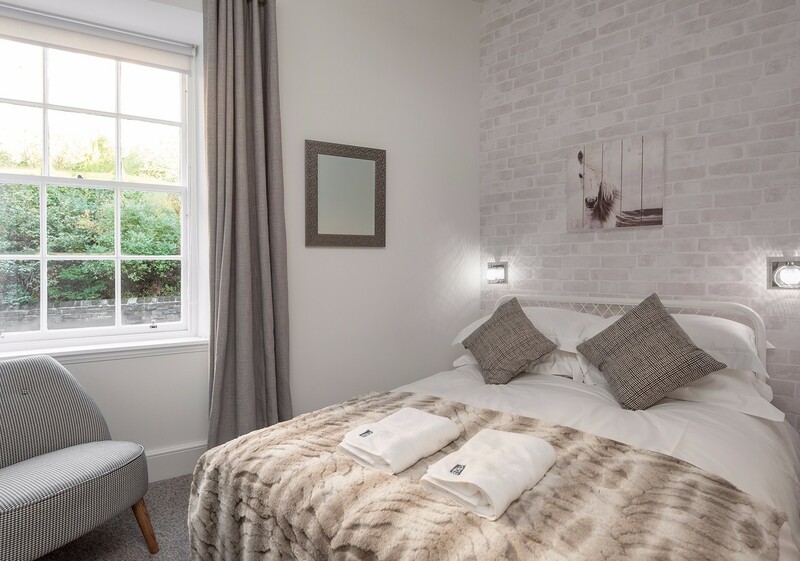 The Grassmarket is a highly desirable central location for anyone wanting to make the most of their stay in the City. The majority of historic sights are within a short walk and the area abounds with Restaurants, Bars and Cafes. A short walk down the sweeping Mound or through Princes Street gardens will take you to shoppers heaven in George Street or Princes Street. 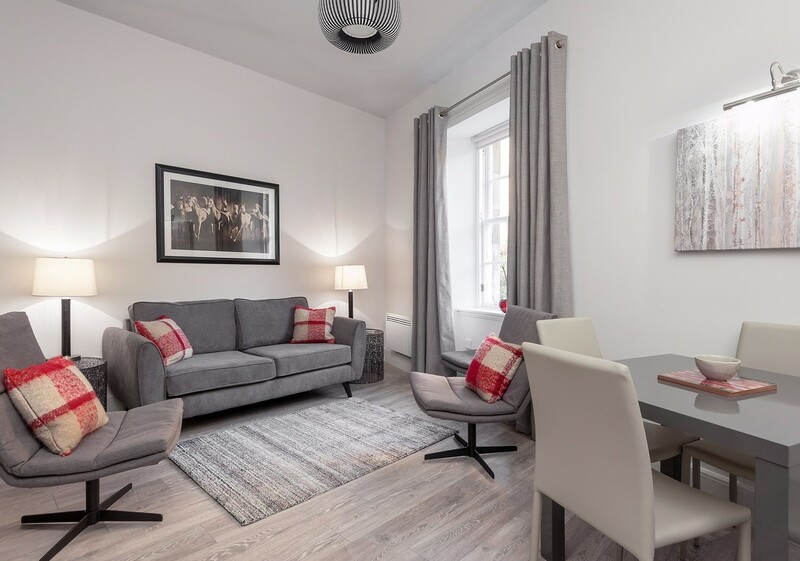 This property has just been newly refurbished and fitted to a high standard. 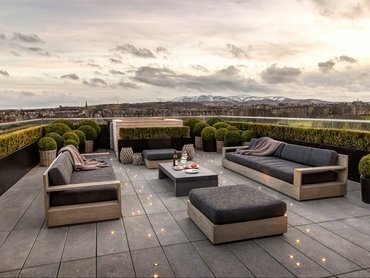 It comprises of a open living space with a windows overlooking a spectacular view of Edinburgh Castle. Smart TV, and Wifi included. 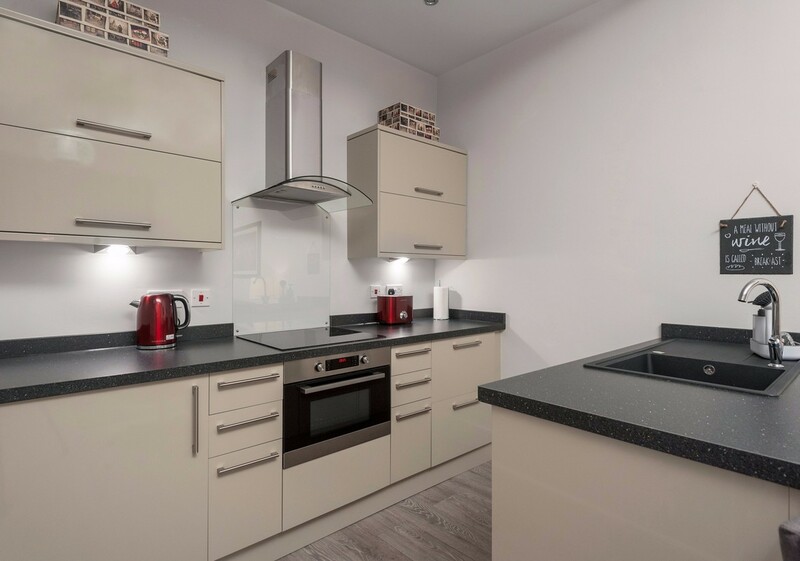 Kitchen includes Induction, electric hob &, combi/oven microwave, fridge with ice box, dishwasher, washing machine, toaster and kettle. Both Bedrooms have a double bed (one a kingsize) and a wall mounted television. 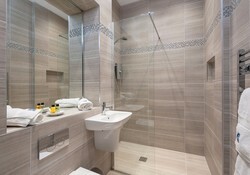 A Shower room is in the property, please note there is no bath. * First floor apartment access by only by stairs, there is no lift. 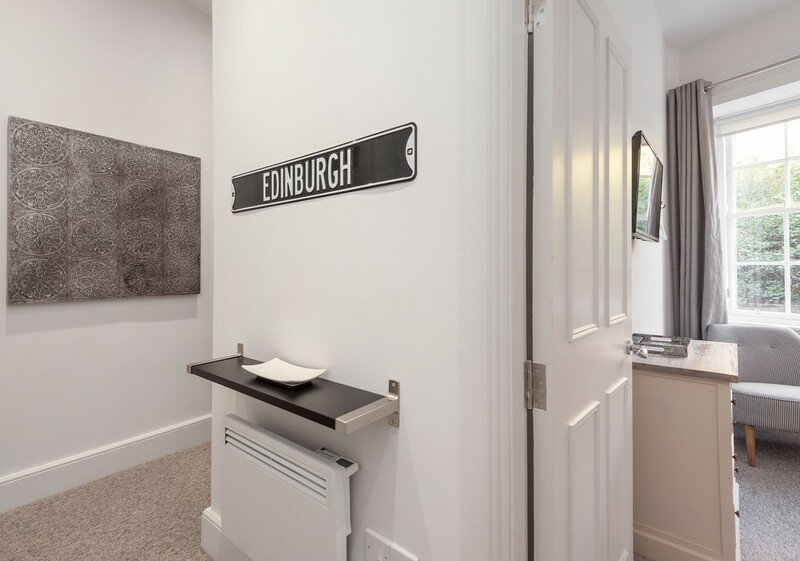 There are three options to get from Edinburgh airport to the city centre, all take approx 30-35 minutes. The main rail station Waverley is approx 1 km from the apt. Really nice 2 bed apartment, all clean and tidy, everything in working order and good location. 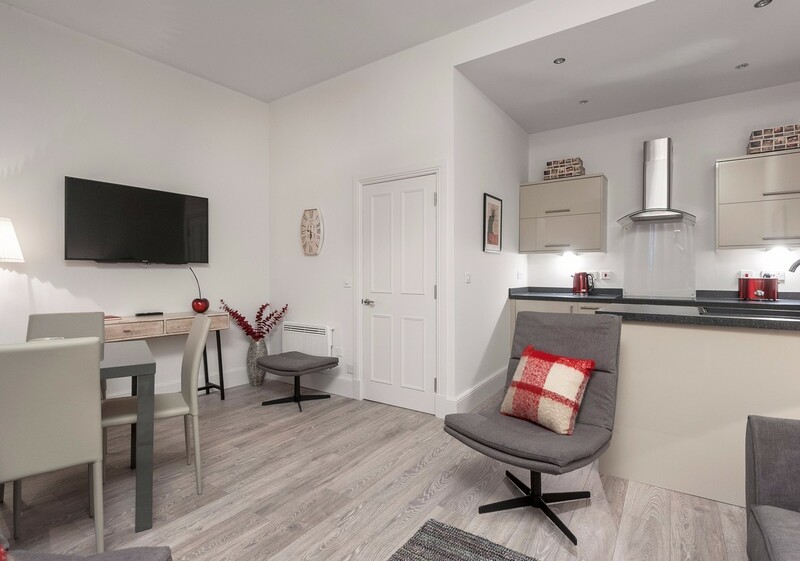 If you could add a small microwave I reckon that future guests would find that really handy for warming up soup, snacks etc.